The White Birch Christmas Centerpiece is new for the 2015 Holiday Season. 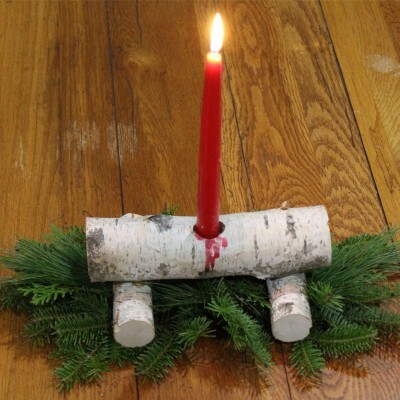 Made out of festive white birch logs, decorated with a red bow and accented by loose balsam, cedar and pine. 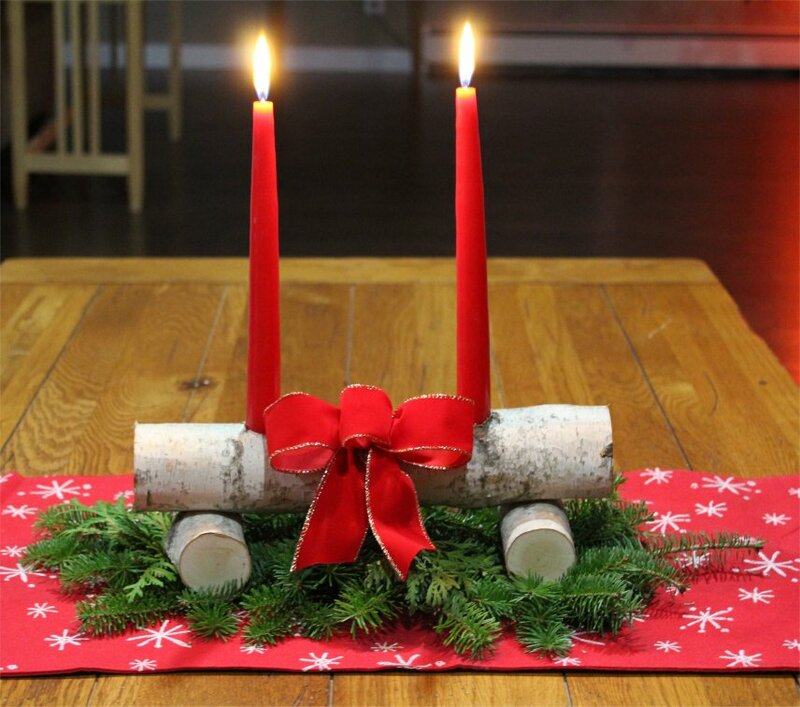 Includes two tapered candles (never to be left unattended) Made to last it’s sturdy construction allows for the centerpiece to be reused each holiday season.